The founder of the company, George Anson Jewett (1847-1934), received a Bachelor of Philosophy degree in 1864 from Central University in Pella, Iowa. Jewett was known as a businessman in Des Moines. In 1879 he formed a lumber company. 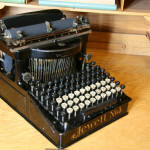 Somewhere along the way he became interested in typewriters and was instrumental in developing both the Duplex and Jewett typewriters. 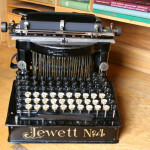 In 1890 he founded the Jewett Typewriter Co. 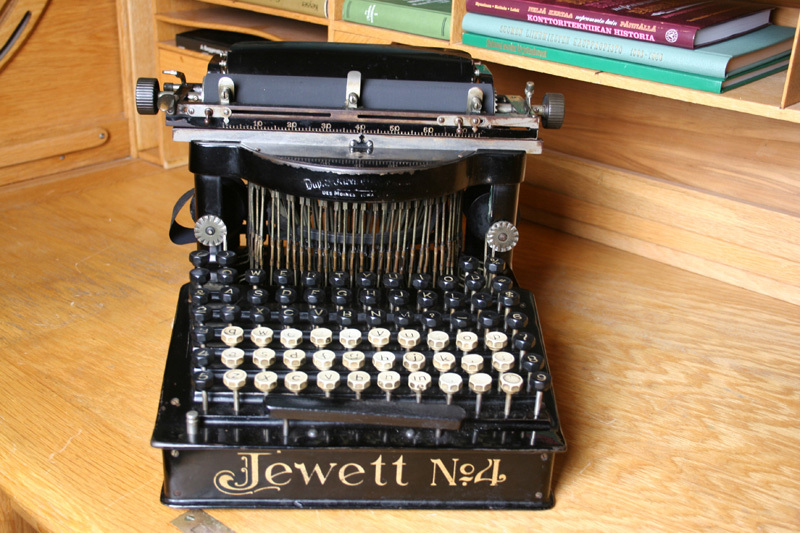 In order to promote the Jewett typewriter he is said to have travelled at least ten times to Europe. 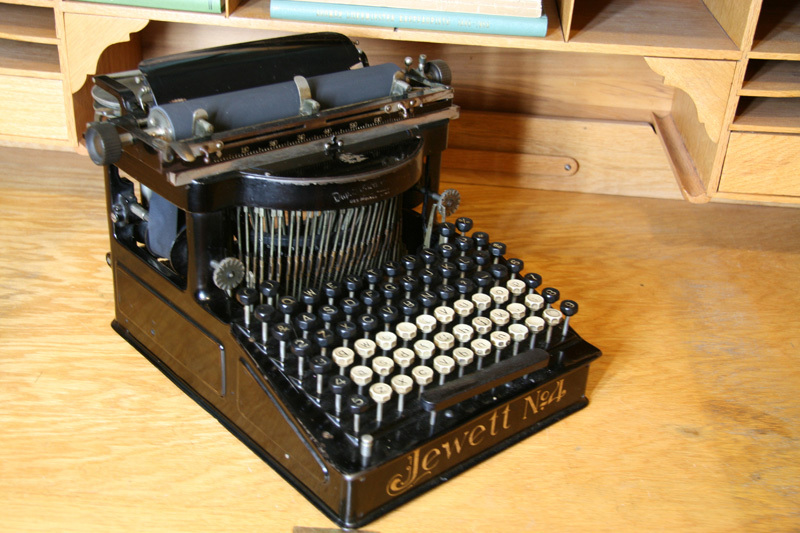 Jewett was an understroke typewriter with a double keyboard and was introduced in 1892. It received the highest regard at Chicago World’s Fair in 1893 and a gold medallion at the Paris Exposition. Several models were introduced with no significant differences, except the number of characters they print. Model 4 was introduced in 1897. The last model was offered in 1902. Production ceased around 1910.